The fields for Tuesday’s gala day at Kumbia are exceptional in size with 67 acceptances, including 12 reserves, representing an average of more than 13 runners per race. By comparison, the Bundaberg fixture has 33 contenders for a 6.6 average while Toowoomba (35, 7.0) the Gold Coast (58, 8.3) and the Sunshine Coast (75, 10.7) are also below the par set by the Flemington of the Bush. Despite the high number of meetings in the south-east, there should be no jockey shortages. At declaration time on Friday, ten females and four males had bookings for Kumbia’s five events. A dozen equine competitors is the maximum number of starters allowed for most of the card. The feature race is the Huston Motors Kumbia Cup, an open handicap over 1400 metres that is leg of both the Country Cups Challenge and the Burnett To The Beach Series. 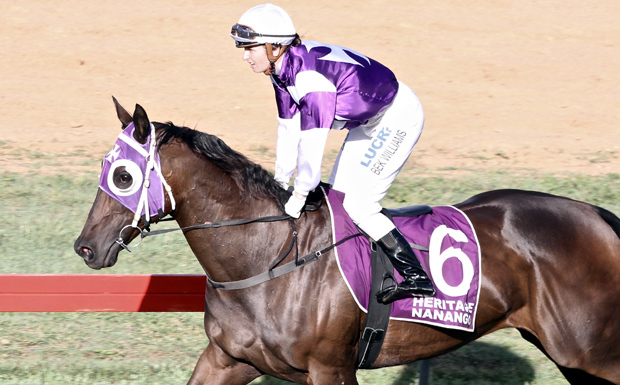 The topweight Well Sighted, by scoring in the Stanthorpe Cup (1400m) last month, has already secured a berth in the $75,000 Country Cups Challenge at Doomben on December 1. 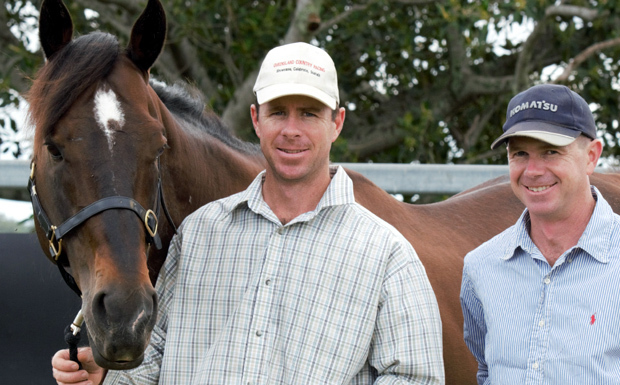 The Tony Sears trained bay by Gonski will have the services of rookie rider Brooke Mackie, the four kilogram claimer who is indentured to Jimmy Orman’s mother Caroline Allardyce. Baker Boy, the eight-year old from Brenton Andrews Gatton yard, is having a third try at gaining a finals spot. The Statue of Liberty gelding, somewhat of a dab over the metric six furlongs, ran a close second and a handy fourth in the respective qualifiers on soft going at Tara and Stanthorpe. Miles conditioner Bevan Johnson has the knack of prospering in these types of series. His lodger Artie’s Shore ($11) won the Yeppoon qualifier on Saturday and so his charge Still The Same, to be partnered by Hannah Phillips, cannot be discarded on Tuesday. Although most people quickly pass over the prospects of very old horses, some ten-year-olds have defied the odds. Shadow King contested six Melbourne Cups, finishing sixth at four in Nightmarch’s 1929 Melbourne Cup. Third placed in that renewal was the three-year-old Phar Lap, the winner a year later with 9.12, with Shadow King (50/1) picking up third money. The Comedy King gelding (25/1) was runner-up in 1931 and third at same odds to Peter Pan in 1932. His rider Scobie Breasley claimed he was unlucky, at 33s, in going down by a head to Hall Mark in 1933. Shadow King missed making the 1934 line-up but was not disgraced at ten with fourth at 100/1 for Breasley in 1935. In the upcoming Melbourne Cup, the greybeard is the ten-year-old Who Shot TheBarman, the 2014 race’s minor placegetter that has posted victories in metric two mile Cups at Ellerslie and Randwick. Meanwhile, the eleven-year-old Singaraja is being asked to maintain his unbeaten record at Kumbia in the Jim Lenihan Memorial. Twelve months ago, with Tuesday’s partner Shannon Apthorpe in the cockpit, the Keep The Faith gelding prevailed in Benchmark 55 company over 1855 metres. The old boy still has a spring in his step with three victories and five placings added to his resume since the Kumbia debut. A tough part of his task will be jumping from the extreme outside gate. 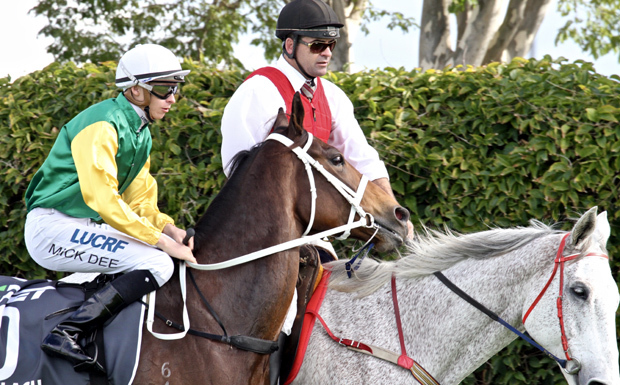 It will be great to see the black and white livery of local Curtain family in action in the Maiden at Kumbia. Laurie trains and races Catcheswinmatches in partnership with Kate, the wife of his brother James. The four-year-old, a son of their stallion Over, was soundly beaten at his first start just over a week ago on the sand at Gympie. Stewards reported that the chestnut was hampered upon jumping and lost ground. It should be remembered that racing on grass is a very different experience so an improvement would not surprise. 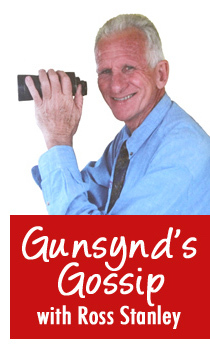 Fasta Than Light, Pat Duff’s grand sand performer, gained a slot in the Country Cups Challenge Final at Gympie. The stable is looking to grab another one with On Demand at Kumbia. Don’t forget to add to your collection of Kumbia Race Club’s stubby coolers. They sold extremely well at the bar last year and make an ideal addition to a Christmas stocking for a racing fan. Collectors should note there is a different design this time. Queensland form lines were to the fore again in Melbourne on Saturday. The Coolmore Stakes trifecta comprised the Magic Millions winner Sunlight and the winter carnival visitors Zousain and Lean Mean Machine while Shillelagh, the Tatt’s Tiara runner-up, went one better in the Empire Rose Stakes. The first slice of advice regarding settling on selections for the Melbourne Cup is to ignore the comments of everyone else. The most devout form analysts have to spend inordinate time checking out all the angles. The international backgrounds are hard to compare and those without an Australian outing to date have to be taken on trust. The fact that Hugh Bowman commented on the firmness of Saturday’s going raises questions as to its impact on horses, such as A Prince of Arran, that may be competing on both days. The reality is that no horse will tick all the boxes and punters have to rely on a general overall feeling. For example, the grey Muntahaa is well regarded, particularly through its impressive Ebor Handicap (2816m) triumph at his last engagement in August at York. However, the English publication Sporting Life reported key post race opinions. The horse will wear the red ear muffs for the pre-race phase. The layout at York is vastly different from Flemington’s. The Ebor field travelled 1000 metres, far away from the stands, before taking a slight bend. The next turn was at the top of the 1000 metre long straight. In short, the punting dilemma surrounds the risk of the British gelding getting significantly stirred up by the occasion. Good luck! And enjoy the bumper day at Kumbia on Tuesday.